The GAPS diet can be transformational for any conditions which are related to gut health. Every day, new research is released to show just out gut affects all areas of our physical and mental health. GAPS stands for Gut and Psychology Syndrome, or Gut and Physiology Syndrome. It is a natural, diet-based treatment for autism, dyslexia, depression, dyspraxia, ADD / ADHD as well as migraines, autoimmune disease and gut diseases. This e book will help your family prepare to do the GAPS diet, let you know what to pack if you choose to go away to do the diet and gives you lots of tips on how to make it easier for your family. My name is Lisa Moane, I’m a Holistic Nutritionist, GAPS practitioner and Food Scientist, and it’s my life’s work to help your child thrive by eating the right foods. 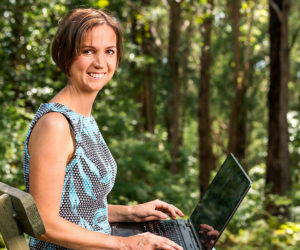 I will work personally with you and your child (in my studio in Bulli, north of Wollongong, or on Skype), to develop a nutritional plan to support your child to thrive.